Randy Hux has been helping people secure their retirement and wisely invest their money, as well as, provide insurance needs for over 10 years. In addition to asset preservation, Randy also has the ability to help individuals with their estate planning needs. He is part of an elite group of experts throughout the country that help individuals reduce their individual taxes, provide their future generations with legacies, and secure their investments without participating in market fluctuations. 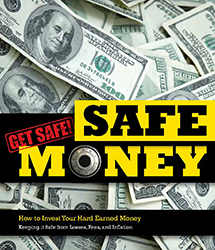 That’s why it’s called, Safe Money Solutions. Randy is an Investment Advisor and is degreed in Finance from Texas A&M University. He was also a CPA at Ernst & Young in Houston, Texas. He is married to his beautiful wife Tina, and they live in Lafayette, Louisiana. Randy has two children that he adores, one which serves in the U.S. Army. He also has two step (bonus) children that he cherishes as well. Randy is the Vice President of Public Affairs for http://warriorbonfireprogram.org, which is for combat veterans that have been wounded in combat operations. He enjoys traveling, learning, reading, staying fit, history, all sports (especially baseball), and follows the teachings of Jesus. David A. Saucer is an independent financial professional committed to helping his clients in retirement and insurance planning. David utilizes various strategies to assist his clients to improve their investment potential, reduce financial risk, and help preserve their estate for their heirs. Married for 28 years to his wife Cindy, the Saucers enjoy traveling and spending time with their two adult children. David is an avid golfer; however, he describes his golf game “as a work in progress”. He is involved in numerous community endeavors and considers his service to others to be one of his greatest passions.